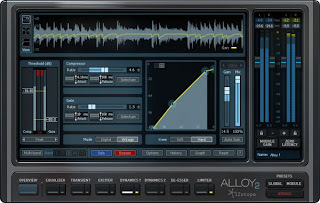 It’s 5 October 2009 and Boston-based developer iZotope unleashes Alloy on an unsuspecting world. 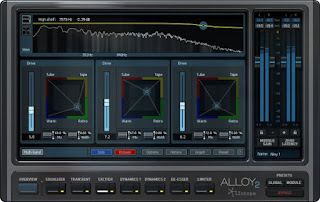 A six-module channel strip on performance-enhancing supplements, the product totes a host of presets aimed at home-production newbies, plus flexible configuration facilities for pro users seeking excitement, equalization, transient shaping, de-essing, double-barrelled dynamics control and limiting. All that and analog emulation, too. Now to August just gone and, bearing in mind that sister product Ozone had now reached v5, the world was no longer unsuspecting when news broke of Alloy 2. There are those who insist on having real valves and transistors in the signal chain when massaging audio. Despite iZotope’s proven expertise in emulating analog gizmos, such cork sniffers are not likely be drawn to this latest mixture of mixing tools. It is, after all, software and thus does not double as a convection heater. There are also those who’ll have arrived at an in-the-box channel-strip+ comprising numerous plugins by a variety of developers. Who could want for more? Well, newcomers to digital music making, which is quite the growing market these days. 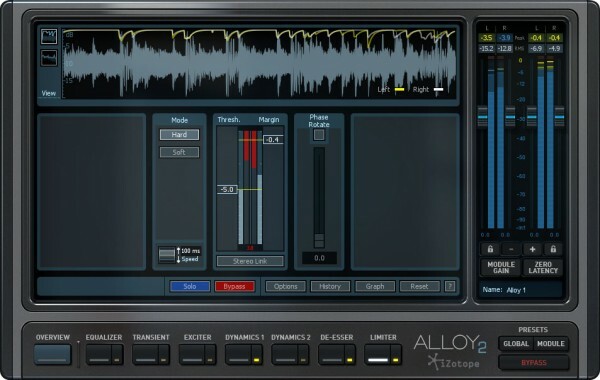 Oft times, a DAW’s built-in mixing and processing tools don’t quite stretch to the levels of control offered by Alloy 2. 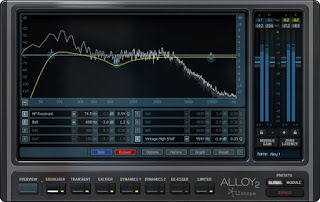 The DAW may have an acceptable dynamics processor, but perhaps not something that can compete with the transient shaping, dual compression, multiband capability and ease of sidechaining that can be accomplished, in a neatly integrated way, with Alloy. Let’s also consider the 250-plus presets on hand to help take the guesswork out of things - real newbie appeal, there. Then we’ve folk who already have the original Alloy, for whom there’s an upgrade deal (check your iZotope user account) and a host of new features with which to engage. Handily, the developer's website details what's new, including such highlights as a revised interface, new modes and EQ on the exciter, as well as additions to the 8-band EQ - Baxendall filters on treble and bass, plus brickwall and flat-pass filters. A major draw is the ease with which sidechained processing can be co nfigured, whereby the signal from one track is used to adjust settings of an instance on another track. 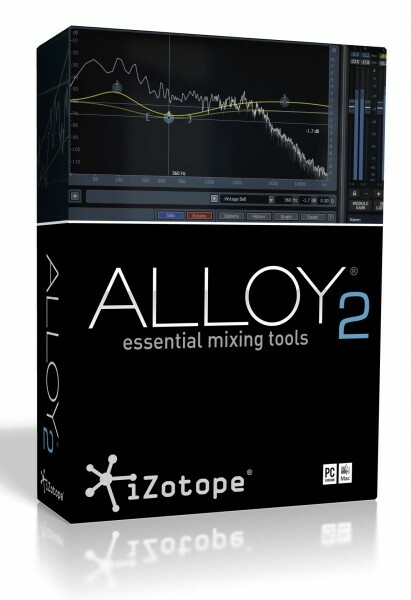 The above should be instantly familiar to existing Alloy users and perhaps be an eye-opener for those new to such processing techniques. However, the real draw has to be for users of iZotope Ozone 5. 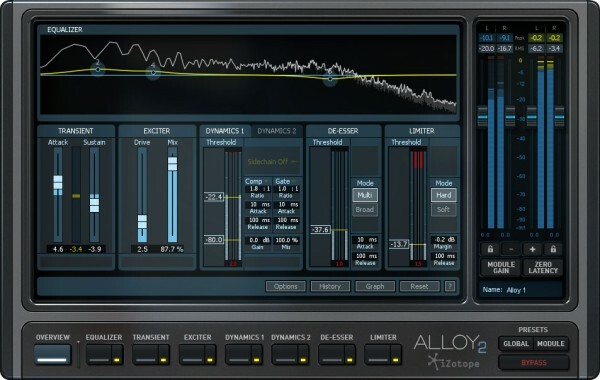 Ozone is designed for deployment at the pre-mastering and mastering stages of a typical workflow. But the modular nature of the Advanced version, by which one can whip out individual processes and plonk them onto a track without invoking the entire suite, has encouraged certain producers to go nuts with it during mixing, and sometimes while arranging. 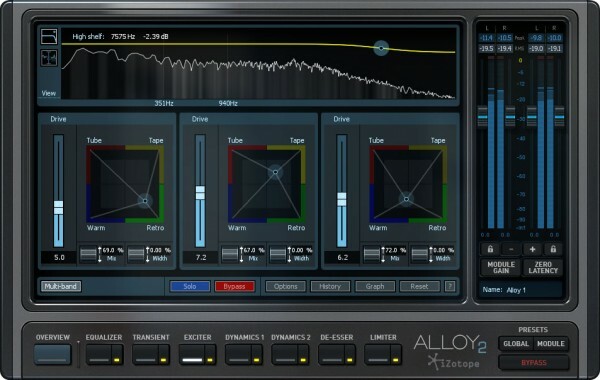 The bonzer news for such deviants is that Alloy integrates very tightly with Ozone, all the way down to cross- and sidechaining. And it doesn't beat up the processor to an unseemly extent. During testing, numerous Ozone modules and instances of Alloy 2 were instantiated on a project already festooned with plug-in synths. The host, a MacBook Pro equipped with 4GB RAM and running Apple Logic Pro 9, took such abuse well. 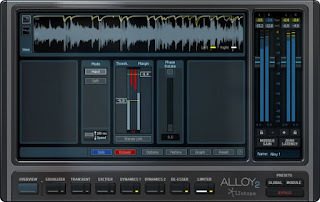 All terribly unscientific, but one gets the impression that under normal circumstances, a machine specified for real-time audio manipulation will not struggle even when liberally dosing a busy mix with both Ozone and Alloy. Add in Nectar, iZotope's vocal-enhancement suite, and you've everything needed to polish a production and for a very reasonable price. The Time+Space bundle deal on Ozone 5, Alloy 2 and Nectar comes in at a mere £349. Sure, there're no modulation effects, such as chorus, flange and phase, but there is more than enough functionality to solidify mix basics and crank up the sheen to truly sparkling. 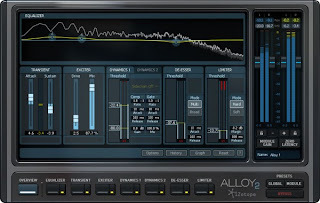 Overall, Alloy 2 is supremely easy to use, has a wealth of presets for the time-strapped or studio novice, its analog emulation sounds just fine to these ears and it does not task the system. Add Ozone and Nectar to taste for a full-flavour mixing experience. You'll find words on Ozone already published on this very blog, while we await a closer look at Nectar's true capabilities. 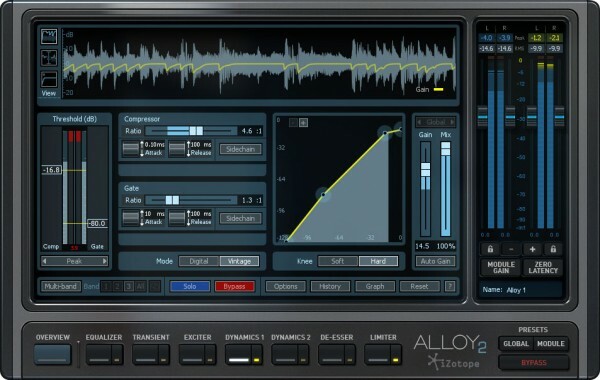 In the meantime, download the Alloy 2 demo to hear if it's got the mettle to galvanize your mix-muscle. MuzoBlog says it has.